Santa's Christmas Adventure is a child's Christmas Fantasy brought to life! 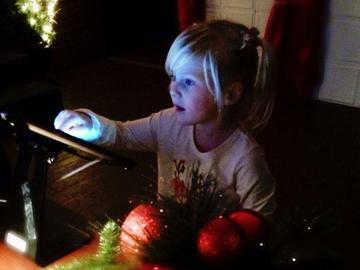 Families are invited to create memories through this one-of-a-kind, interactive Christmas adventure. Tea with Santa pricing includes Santa's Christmas Adventure, so there's no need to book both. Tea with Santa begins at 4:30pm and is located in The Rotunda, in The Inn at Glade Springs. Tea with Santa is a limited event where your family can enjoy complimentary tea or hot cocoa with Santa and Mrs. Claus and decorate cookies with the singing and dancing elves! Following the tea, your family will take a trip to the North Pole on Santa's Christmas Adventure!